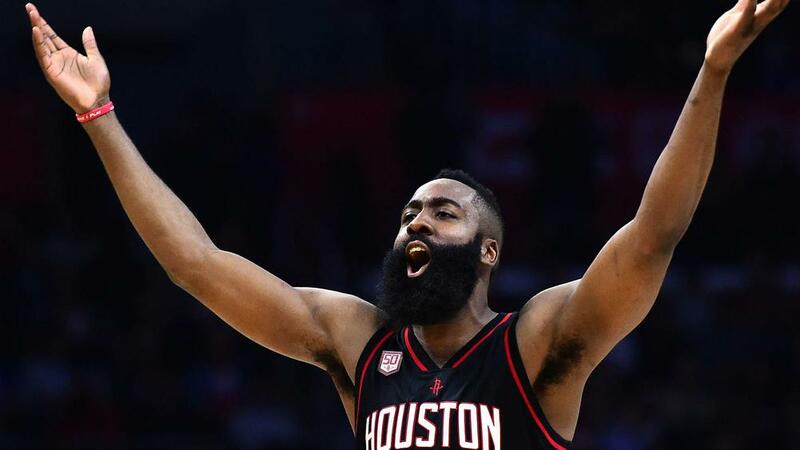 The Houston Rockets keep finding a way to win after James Harden inspired a 138-134 overtime win against the Los Angeles Lakers. Houston trailed the Lakers for almost the entire game on Saturday, but Eric Gordon hit a huge three-pointer to tie it up and force OT. Reigning NBA MVP Harden continued his scoring form with 48 points, while also managing four steals. Gordon scored 30 points and made some critical free throws to seal the deal against the Lakers. Kyle Kuzma scored 20 first-quarter points and finished with 32. Houston are 26-19 and have overcome the injury issues this season to stay in the playoff hunt. Lonzo Ball went down with an ankle injury, so the Lakers will have to make some line-up changes to adjust and hold onto the final playoff spot in the Western Conference. Kyrie Irving scored 32 points on 11-of-19 shooting as the Boston Celtics topped the Atlanta Hawks 113-105. Joel Embiid racked up 31 points, eight rebounds and six assists, but the Philadelphia 76ers lost a thriller 117-115 to the Oklahoma City Thunder. Luka Doncic scored eight points on three-of-14 shooting before being ejected in the third quarter of the Dallas Mavericks' 111-99 loss to the Indiana Pacers. Fred VanFleet scored four points on one-of-eight shooting in the Toronto Raptors' 119-90 victory against the Memphis Grizzlies. Buddy Hield sparked wild celebrations with a stunning buzzer-beater as the Sacramento Kings beat the Detroit Pistons 103-101. He finished with 35 points and nine rebounds. The Los Angeles Clippers have taken a tumble and lost five straight. The Clippers were once the best in the Western Conference but are currently in ninth place. The San Antonio Spurs have won two on the bounce and will be a tough opponent to beat at home.